TODAY, which is the more popular franchise????? this could turn out to be an age-related question, but i can't decide, so i thought to take a poll. as a 41-year old woman who is a fan of both, i can see the pros and cons for both franchises being the more relevant. Original trilogy vs original series? With the many Star Trek TV series' and the Star Wars prequels, it's not such a black and white question. Which one do we "think" is more popular or. Taking each as a whole (which is kind of unfair since ST has a whole lot more to its canon), I'd definitely say Star Trek . I will always be fond of Ep. IV - VI of Star Wars (forget that prequel crap) because lots of great childhood memories are attached to it and it was my gateway drug to all things sci-fi and fantasy, BUT it lacks the depth of ST (esp. TNG and DS9 ST). That said, I'm super excited to see what JJ Abrams and crew does with the SW franchise. i'm thinking franchise vs. franchise. i'm not asking about box office success or tv ratings, but what you might think is culturally more "popular" in today's society. if you look at the entirety of them all, star wars with all six films (even the cartoons) form one long timeline. and although the star wars prequels may not have been as creatively good as the original three films, they're still part of the overall star wars story "history" and can't be dismissed as "crap" (at least not in the context of this question). ditto for the various star trek movies and series. 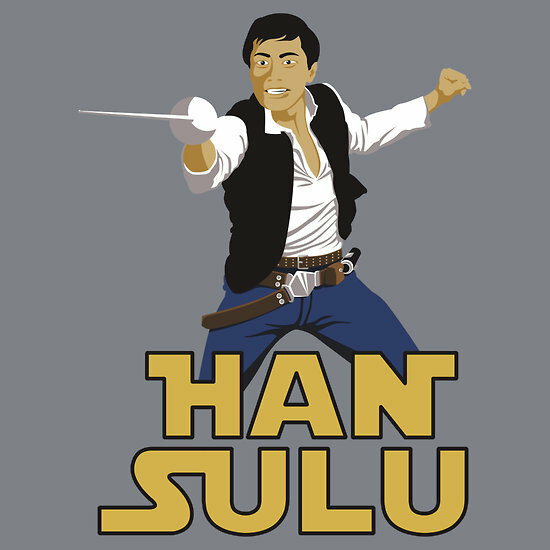 with jj abrams having revamped star trek with the last couple of films and who is now slated to do star wars 7 (and rumored to have given up star trek for star wars), i was just curious which might have been the better move on a cultural level. i also heard recently that a lot of kids today don't know who harrison ford is, so it got me thinking, would they know who william shatner is or leonard nemoy or mark hammill or carrie fischer? would they be more familiar with patrick stewart or wil wheaton since star trek has had something produced in the media more recently than anything star wars has done as of late. i'm a big fan of both franchises but i was already of an age to appreciate the significance of the lines like, "luke, i am your father" or "resistance is futile" or even "beam me up, scotty" (i grew up on original star trek reruns). wow, i didn't think this was such a difficult question. it was just supposed to be a fun little poll/debate about two similar -- but different -- sci-fi cultures. kinda like the question, "who would win in a fight...batman or spiderman?" there is no definitive answer, just a a feeling of which is more relevant in 2013...overall. Fortunately for all we seem to have our answer: Mr Abrams will crap on both equally and they'll thus turn into the same piles of poo, albeit with slightly different hues and scents. Surely an oversight, but you folks forgot to include Star Brite in the voting options. Personally Star Wars ships are much better than Star Trek ones. I mean, X wings; TIE fighters; Star Destroyers; Death Stars? In terms of design, power and canon, the spacecraft in Star Trek really don't match up compared to them.